Facebook COO Sheryl Sandberg is set to receive the unusual honor of christening a Navy submarine -- but not until 2022. Sandberg will christen a new sub, the U.S.S. Massachusetts, which the Navy will start building in 2017. It will launch five years later. Navy ships are always christened by women, but they are typically the wife or daughter of a politician of senior military leader. Lately, more women are getting the honor of "sponsoring" a ship thanks to their own accomplishments. "The sponsor has a special relationship with the ship and it's often said that a ship's sponsor infuses her personality into a ship," said Capt. Patrick McNally, a Navy spokesman. 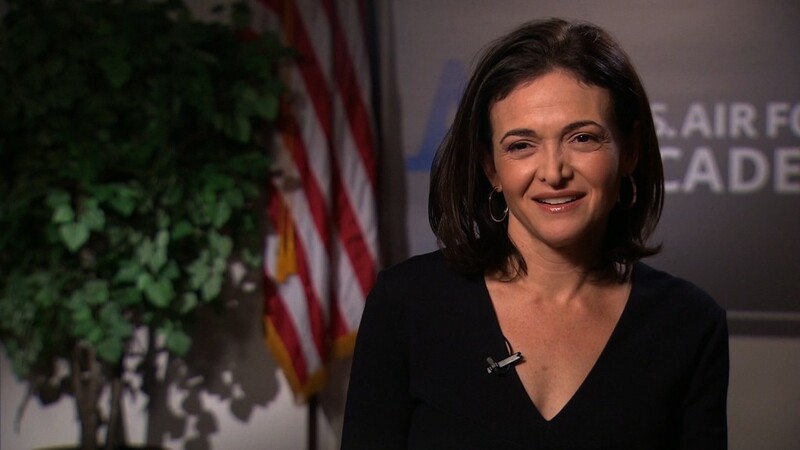 Sandberg, a leading advocate for women in the workplace, has become active in advocating for women in the military. She has said that the first time she used what has become her signature phrase, "lean in" was during a lecture she gave at the Naval Academy in 2011. Related: Can alpha males 'lean in'? Secretary of Defense Ash Carter and Navy Secretary Ray Mabus have both praised her work with the military, and it was Mabus who chose her as the sub's sponsor. But Sandberg's advocacy for women in the military has also included criticism of the current culture within the armed forces, and she has also run into some hostility for her views. During a speech last week at the Air Force Academy, many members of an overwhelmingly male audience of 3,000 cadets clearly took issue with her opinions. The audience reaction was apparent enough to draw a rebuke for the cadets from the speaker who followed her to the stage.